I have been thinking of posting soups for a while but never got around until now. It's one of my favorite dishes and if I am eating lunch out you will see me order soup and salad. This does not have anything to do with weight loss or any such endeavor. I simply love soup. My favorites have always been Chinese soups and hence I will start off with one of them. Other than soups I also have an affinity towards leaves. After coming to the South of US and seeing so much turnip greens being cooked down with pork fat, kale and collard greens treated the same I found out an easy way to cook the greens. 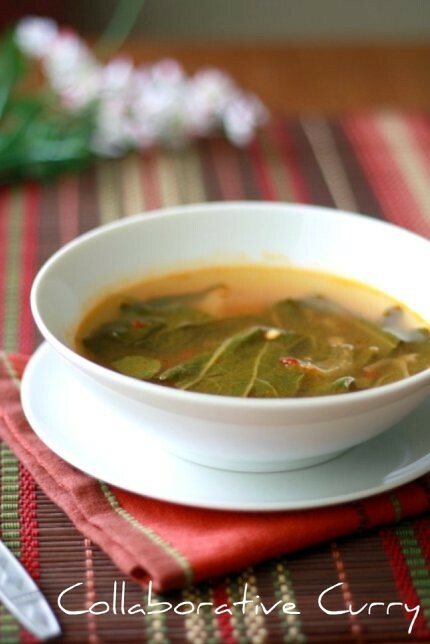 This soup has nothing to do with how turnip greens are cooked but I am just saying bok choy cooked down to tenderness in chicken broth gives me a chance to enjoy my favorite soup with a beautifully textured leaf to chew on. You and I have something in common - nope, not that liking towards soup but preference of chinese soup over others..BTW,i love hot n sour soup. This soup equally fabulous with bok choy in it! This sounds so good. With a few ingredients, such a wonderful bowl of soup. YUM! BTW, What type of chilli sauce to be used? This looks so comforting. I am a veggie so will switch to tofu! Nice soup, i have to change chicken and try with something else. 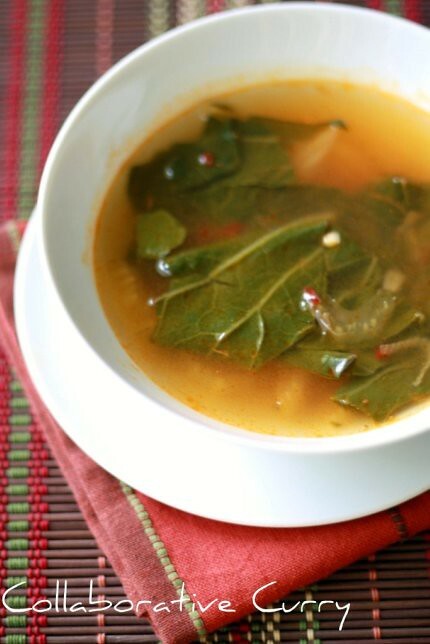 Clear broth with greens, looks delicious and healthy. Healthy and yummy soup..looks great. healthy n delicious looking soup...nice pics..thanks for sharing this! Tasty and comforting soup.My husband s gonna love this !!! What a great soip! This looks so good! WOW....WHAT A FANTASTIC SHOT...LOVED THE FIRST ONE....hey btw, is bok choy same as pak choy, the chinese leaf? Looks very tasty and healthy as well. Loved the way you have prepared. Great photos as well. nice combination.very healthy vegettable.i like to prepare thoran with this choy..cho-chi soup superb..
this is a healthy vege soup. This soup looks great and healthy too. I think I'll prefer with vegetable broth. yummy n tasty soup...cute clicks dear. Wow, soup looks so good. never made this soup before. will soon give it a try and let u know. Great clicks too. Love this healthy and tasty soup.. I want to finish that bowl rite now..very tempting..
Wooow,,i like bok choy soup very much dear our faaav one.. I never use bok choy in my cooking but now thinking it to give it a try...thanx for sharing this healthy soup.